Can I also perform hard turning on my products? Alternatively, are they suitable for hard turning? With the aid of your product drawings, we will gladly let you know whether this is the case and, if they are suitable, we look forward to presenting you with a processing proposal. In this case please contact us at sales@hembrug.com or on +31 23 512 4911. Does hard turning not have the disadvantage of producing a white layer? No. You can prevent this from occurring by using the appropriate feed and feed rate parameters. In this respect it is vitally important to control wear and tear of the tool. A worn tool creates more friction, which generates more heat and consequently increases the chance of a white layer occurring. Will the first product be good right away when hard turning? 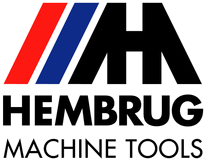 Using the appropriate program and configuration settings, the first product can be within tolerance levels after hard turning. Is it possible for a tool to simply break? No, a tool does not simply break. However, it can happen if it is worn down and machining occurs. Nevertheless, it is possible to prevent this from happening by using a tool measuring system or by measuring the coarseness of the relevant product after machining it. Increased coarseness indicates a worn tool. Is it also possible to perform hard turning on products with interrupted cuts? This is quite simply possible to do with the appropriate CBN insert but the precise size of that insert will depend on the product which is to be processed and the related interrupted cut. Do I require a cooling emulsion for hard turning? In most cases a cooling emulsion is not necessary. However, where there are lengthy contact times between the tool and the product a cooling emulsion is sometimes required. Air cooling is a cost-effective alternative to a cooling emulsion. What level of precision can be achieved? This depends on the lathe that is used, although the Mikroturn 100 is capable of achieving the following levels of precision up to 380 mm: surface (Ra) – 0.1 to 0.4 µm; shape – ≤ 0.1 – 2 µm; size – ≤ 2 µm. On what materials can hard turning be performed and which hardness variations can be used? Hard turning can be performed on all types of hardened steel with a hardness variation of between 58 HRC and 70 HRC (+/- 2 HRC). For instance, examples are 100Cr6 and 45MnCr5. It is also possible to process hardened steel, albeit with a minimum cobalt content of 12%. For which products is hard turning suitable?